The new year is here, but the age-old problem of drunk driving on New Year's Eve continues to plague our cities. The new year is here, but the age-old problem of drunk driving on New Year’s Eve continues to plague our cities. On December 31, 1,753 drunk driving cases were reported in Delhi, which is double the number of cases reported in 2016, according to The Hindustan Times. 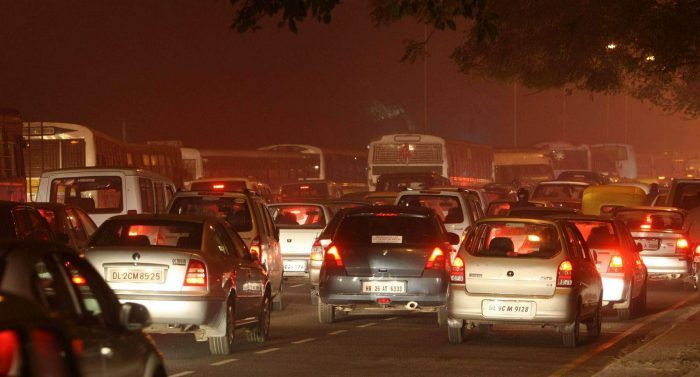 Apart from the drunk drivers, there were also 16,720 motorists, who have been issued tickets in Delhi for violating traffic rules on New Year’s Eve, the report stated. Special commissioner of police (traffic) Dependra Pathak attributed the rise in numbers to the zero-tolerance policy that the police had adopted for curbing mishaps. The police had deployed teams at 433 checkpoints, of which 125 focused especially on drink-drivers. Apparently, many lost their licences for up to three months under Supreme Court’s orders for certain offences. Others mostly received fines as per the Motor Vehicles Act of 1988. In the run-up to the New Year, Delhi Police had been actively promoting drunk driving campaigns. Even the UP Police did its bit to spread the message, keeping in mind not to taint the festive spirit of people. They put up a status with a reference from Salman Khan-starrer “Dabangg”.